A woman comes for water every day in the middle of the day, instead of the early morning when she would be with the rest of the women in her town. In a society where women found their place beneath men, some women found themselves lower still. This woman was held in lower esteem than even her female peers. Why? This woman had a story. She had been married five times. Try to consider this not from the perspective our gender-egalitarian culture today but from the patriarchal social constructs of her time. Remember that marriage then was in some regards similar to marriage today, but within first-century Judaism, the social construction of marriage was significantly different. Women belonged to their husbands as little more than property. This was most apparent in divorce. Women could not divorce a man, but men, in this male-dominated hierarchical construction of marriage, could divorce a woman, under the Torah for any reason they so choose. Granted, a woman could not be passed back and forth between husbands, but her present husband could pass her to another if for any reason he deemed her no longer desirable (for faults as simple as burning the food or being less desirable than younger options). 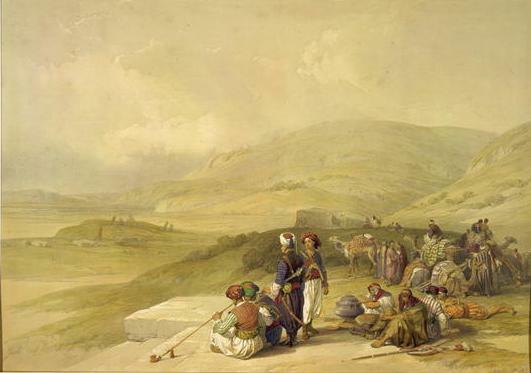 This woman whom we find this day at the well had been sent away by five men. She had been told five times, “You are not desirable. You are not wanted.” We are not told what her present arrangement was, but suffice it to say, she was with a man now simply so that she could have some type of existence in that culture that required her to be connected to a man. Jesus does not hold her responsible for any of this. There is no “go and sin no more” talk between then. There is no “love the sinner hate the sin” mantra that Christians today are so famous for touting. There is simply the understanding that this woman has been the victim of a marriage institution gone completely wrong. Yes, it was monogamous, but it was no more than serial monogamy. The kind of marriage this woman had experienced only served to objectify, dehumanized, and degrade women to a status lower than men. What Jesus offers this woman would answer her heart’s desperate cry to love and be loved: a water that would so satisfy her basic, inmost needs that it would not only fill the deep void insider her but overflow into a beautiful force toward others, flowing from her as a source of healing for others. However, there was a catch. When she responds favorably and asks Jesus for this water, He cannot simply give it to her. No, the water Jesus offers this woman can be only experienced within the context of complete honesty and authenticity. She must come to a place where she is herself, regardless of what the other Torah–observing women might say. If she is going to truly experience what Jesus extends to her, she must be given a safe space with Him to be who and what she is, no longer hiding, even if that means facing her past of begin repeatedly told, time after time, there was something wrong with her. Jesus draws her into this safe space. “I have no husband,” she says. There is something different that she sees in this man’s eyes. She changes the subject, though. Jesus will bring it back around. What is Jesus saying to this woman? The same thing He is saying right now to you, too. We do not need water that will leave us thirsty (conditional love). We need the living water for which we were made. We must not settle for less. We must have the water that satisfies the deepest human thirst. We need Jesus’ living water of unconditional love, a love in which we are simultaneously fully known and fully embraced, loved and accepted. A love that knows all there is to know about us and loves us all the more still. Who are you reading this right now? What are you hiding? What are you not being honest about, not with others but with yourself and possibly with God? Would you like this living water, too? Then it is time to enter the dangerous honesty of this radically inclusive Kingdom Jesus came to bring. Whatever you are hiding, He won’t turn away from it, and He won’t turn you away, either. You might feel like you have to come to the well at midday to protect yourself from others’ opinions, but you don’t have to with Jesus. As a matter of fact, He is already at the well right now, waiting for you to arrive. In the past two decades, I have met many people who have come to a place where they can be honest with God about who they are. Some I find to be still hiding. Others are very much on this journey of deep introspection. All these stages are okay. What Jesus would have us all know, first and foremost is that, regardless of who we are, we don’t have to hide from Him. His love is unconditional. He already knows, even before you do, and His offer is still on the table. His hand still extends to you a cup. Are you thirsty for this water? Come. Drink. You will never be the same again. Do you have the courage to be honest with Jesus? The first step is to believe that Jesus really does give us space to be honest without the fear of losing Him. The next step is to believe what Jesus said to Philip: “If you have seen Me, you’ve also seen God” (cf. John 14:7–10). 1. 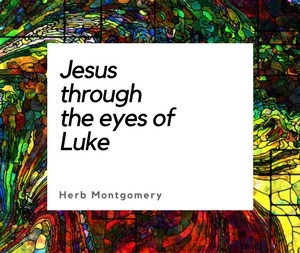 This week, I want you to spend some time in contemplation with Jesus. What might you be hiding? Consider if there remains in you a door to that most private room of your heart that you have kept locked. 2. Invite Jesus into this, whatever it is. Watch what He does next. Journal what He shows you. 3. In the context of Jesus’ encounter with the woman at Jacob’s well, share what Jesus shows you with your HeartGroup this upcoming week. Keep living in this love. Allow it to also flow out to others around you until the only world that remains is a world where Christ’s love reigns. “Just then his disciples came. They were astonished that he was speaking with a woman” (John 4.27). Last week we looked at Jesus and the “Us vs. Them” paradigm of the Jews and the Samaritans. This week, I’d like to take a brief moment to notice the breathtaking way in which Jesus related to women, especially within a first century Palestinian patriarchal culture. The disciples return and find Jesus speaking with a woman. John tells us that the disciples were astonished at this. The question I’d like you to ponder is why were they surprised? Treatment of Women in the first century. Last month in the eSight entitled Jesus Stops a Lynching, I made mention of the double standard that existed within the Torah concerning adultery. Adultery was not defined as a male engaging in sexual relations outside of marriage, but as a married woman engaging in such. In other words, if a married man had an affair with an unmarried woman it was not considered to be adultery because the woman did not belong to another man. A man could only be committing adultery if the woman was married to another man. The adultery laws of the Torah were not concerned with marital fidelity per se, as much as they were protecting the property rights of husbands to whom their wives belonged. Remember, women in this culture were looked upon as being the property of their husbands. In John 8 we have a married woman about to be punitively punished for her unfaithfulness to her husband, and Jesus breathtakingly comes to her defense, disarms the crowd, siding with the woman about to be turned into a scapegoat, advocating for this woman against the religious male leadership. The second example I’d like us to consider is the question about divorce put to Jesus in Matthew 5. Remember, divorce laws in Jesus’ day were another example of male-dominance law. Women could not divorce their husbands. A woman was her husband’s property. But, a man could divorce his wife. What is remarkable is that under the Torah, a husband could divorce his wife for something as simple as burning his dinner, becoming less sexually attractive as she aged than the new younger options, or literally any reason for which the husband was no longer pleased with her. This is how it was under Moses. Jesus comes to women’s defense stating that, in the Kingdom, there is no reason for treating a woman unjustly. You may be able to justify sending her away under Moses, but not so within the Kingdom that Jesus was coming to establish. Let me say a word about Moses. Moses was an improvement from where the Hebrews were in their unjust treatment of women (See Deuteronomy 24). But, that was only as far as that culture could walk, at that time. It wasn’t far enough. Jesus takes protecting women from injustice within marriages within a patriarchal culture to a whole new level by stating that the only reason a woman could be divorced was if she herself was martially unfaithful. This was to protect men from being taken advantage of too, but notice that Jesus’ strict words about divorce arise from the backdrop of abuse of women in a marital context within a strictly patriarchal culture. There was no egalitarian treatment of women within marriages during His day. We could discuss the woman who was bent over that Jesus called forward into the males-only section of the synagogue to be healed on the Sabbath, or the woman, healed and then affirmed by Jesus, who violated the Torah and touches Jesus even though she has an issue of blood; but, what I want you to notice about all of the examples is the gender pyramid that existed in Jesus’ day and Jesus’ engagement with it. I’ve spoken elsewhere about the economic pyramid structure that Jesus came to overthrow (see Luke 6.20-24). I’d like you to consider the gender pyramid structures that existed in Jesus’s day as well. Jesus had come to turn social pyramids upside down. Those at the top of pyramids, in the places of privilege, would find themselves removed from these privileged positions. While those at the bottom of these pyramid structures, who were slaving away to benefit those at the top of the pyramid, would find themselves liberated. When it came to the gender pyramid in Jesus’ day, men were at the top and women were at the bottom. In the Kingdom that Jesus came to establish, all of this was to be turned on its head, “upside down” as they said in Acts 17.6, where women and men would now be valued and treated equally. Consider the story of Mary sitting at the feet of Jesus. Martha, who is slaving away at the bottom of the pyramid domestically that day, notices that she hasn’t seen Mary in quite a bit. Wondering why Mary has left her to do all the “slaving” alone, she walks into the room to find Mary sitting at the feet of Jesus. What makes this appalling for Martha is that this was a place reserved for men only. Anyone could be in the room listening to Jesus, but women were typically at the back; then there were the men, and then, if you were a man who was aspiring to become a Rabbi, there was a special spot reserved for you. Your place, as an aspiring Rabbi, was at the feet of the Rabbi who would be teaching that day. Remember, being a Rabbi was a men’s only club and, therefore, the “feet of Jesus” was a place that would have been reserved only for men. And yet, Martha finds Mary, abandoning her domestic place at the bottom of this social pyramid, and seated at the top, right there with Jesus. 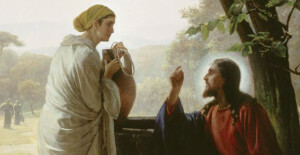 What Martha is telling Jesus is that He should put Mary back in her place. Jesus says, “Leave her alone.” In Jesus’ Kingdom, women would no longer be relegated to a lower place than men. Mary had chosen what was best, and she would not be denied based on her gender. The parallels between the Genesis narrative of the fall and John’s narrative of the Resurrection also cannot be missed. Both narratives take place in a garden. Both narratives involve a woman. But, where the Genesis narrative places the woman as the first to be deceived, the Resurrection narrative places the woman as the first to be enlightened. She is then sent as an Apostle to the Apostles. She is the first person to proclaim the risen Lord; she is the first to proclaim that a whole new world has begun. As followers of Jesus, we do not live in the narrative of an old fallen creation where the woman was the first to be deceived by the serpent. Our story is the narrative of the Resurrection where the woman was the first to believe in the risen Lord. The Female Narrative within the Hebrew culture has been redeemed through the Resurrection. Woman is now first into the new world! Surely, the last (bottom of the pyramid) has become the first and the first (top of the pyramid) has become the last. Some will try and use Paul to overthrow the Jesus story. But, this is a misunderstanding of the subversive nature of Paul’s use of the word “submit.” Paul told Jesus-following slaves to “submit” to their unbelieving masters, not because he believed in slavery, but as a subversive way to win over their masters so that they could become Jesus followers too, so that, once converted, the relationship between slave and master would be undone. Paul uses this same word, “submit”, in relation to the kingdoms of this world as a subversive way to overthrow those same kingdoms, winning over the nations and the kings of the Earth so they would bow down as well to the King of kings and the Lord of lords. And lastly, Paul speaks of women believers “submitting” to their unbelieving husbands (and vice versa) as the subversive way of winning unbelieving spouses to becoming followers of Jesus as well, where hierarchical authority structures even within marriage would be abolished for the egalitarianism of the Kingdom. There are undeniably two streams within the scriptures that Jesus followers hold in high regard. While there is a clear patriarchal stream, there is another, very clear, egalitarian stream as well. (Galatians 3.28) Jesus followers must discern whether Jesus is moving us away from the egalitarian stream to the patriarchal stream, or whether Jesus is moving us away from the patriarchal stream to the egalitarian one. Which direction is the Jesus story moving us in? Again, we can’t allow other sections of scripture to embolden us to ignore Jesus’ treatment of women. Jesus simply stepped over the gender boundaries of his own day, ignoring them. For those who claim to be following this Jesus, the question we have to ask is are we following Him too? This is not becoming more like the world. It’s simply that the world has been listening, in this regard, to Jesus’ spirit, more than the church has. If this is true, it would not be the first time. And I’m sure, before the time of all things being restored, it won’t be the last. 1. This week I want you to spend some quiet time with Jesus contemplating what a world would truly look like in which women were treated the same as men. Where people are evaluated on the value God places on them. Where voices are heard based on content, not gender. And where service is based on giftedness rather than gender. Remember, we are called to put on display what the world changed by Jesus looks like and to give witness to the Resurrection that this new world has begun. 2. Ask Jesus to show you how you can put this new world on display in your own life, within your own sphere of influence. 3. Share with your HeartGroup what Jesus shows you. Wherever this finds you, keep living in love, loving like Christ, until the only world that remains is a world where Christ’s love reigns.